A camel coat is high on my wish list as the temperature starts to drop in Canada. There's something so chic about the colour and it is just as versatile as any other neutral but more eye catching and a little dressier than a black or navy coat. I love this ones minimal design and deeper shade. 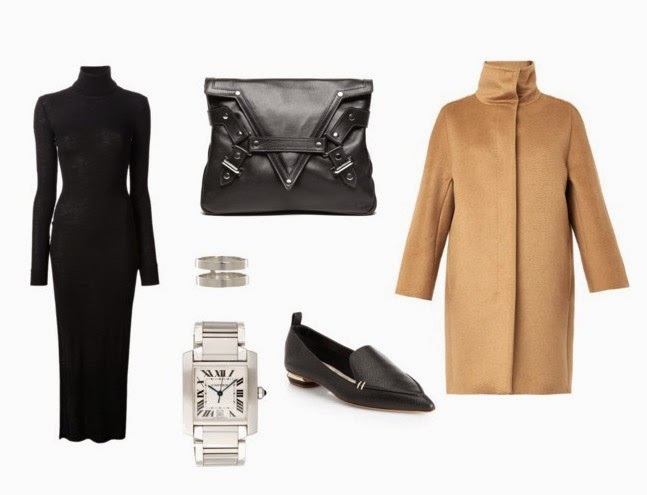 The pointed loafers, oversized clutch and simple dress in black is a nice way to let the coat stand out.